About a month ago, we had two of our friends from Uganda come and stay with us. I can not tell you how precious this was. Ruth & Innocent live on the Islands of Lake Victoria in Uganda. 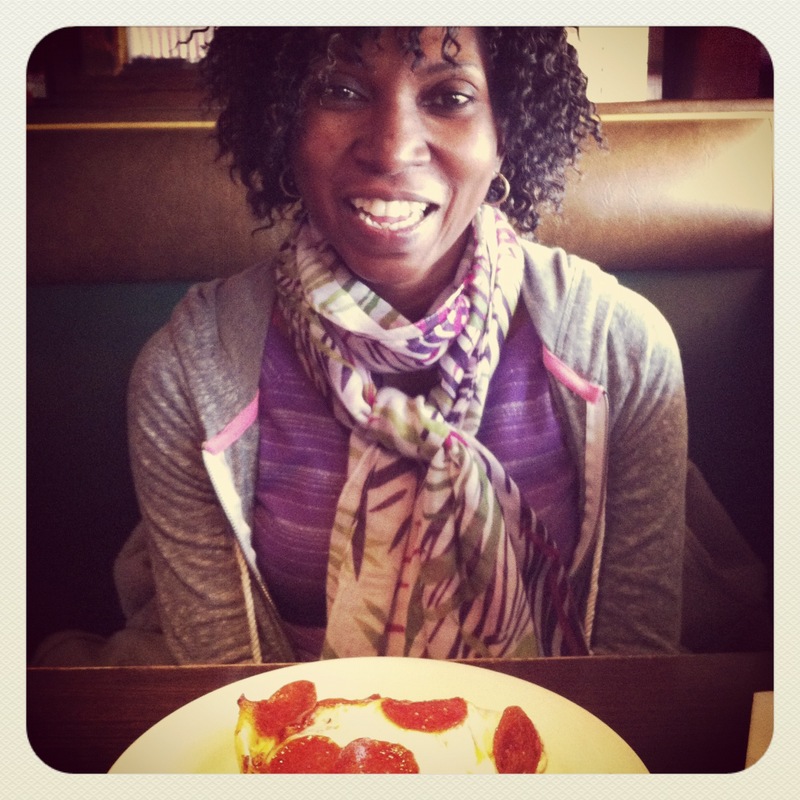 This was their first time out of Africa and this happened to be Ruth’s first time trying pizza. She loved it. I can not begin to tell you how different life in America is from that in Uganda. We had so much fun together, but I also found myself asking a lot of hard questions. Embarrassment doesn’t even begin to describe how I felt as I brought them to my home, where my kids have rooms filled with toys and where I have every kitchen gadget ever created. I am so selfish. But I am thankful for the time with my friends and I am thankful that God is using their stay to change me. I learned something else about my sweet friend. She bakes all of the cakes for birthdays and celebrations on the islands. So we did a little baking together. Ruth tasted and made her first cupcake while she was here too. She will be heading back to Uganda with some new cake decorating supplies, which she is thrilled about. Easter Dessert. 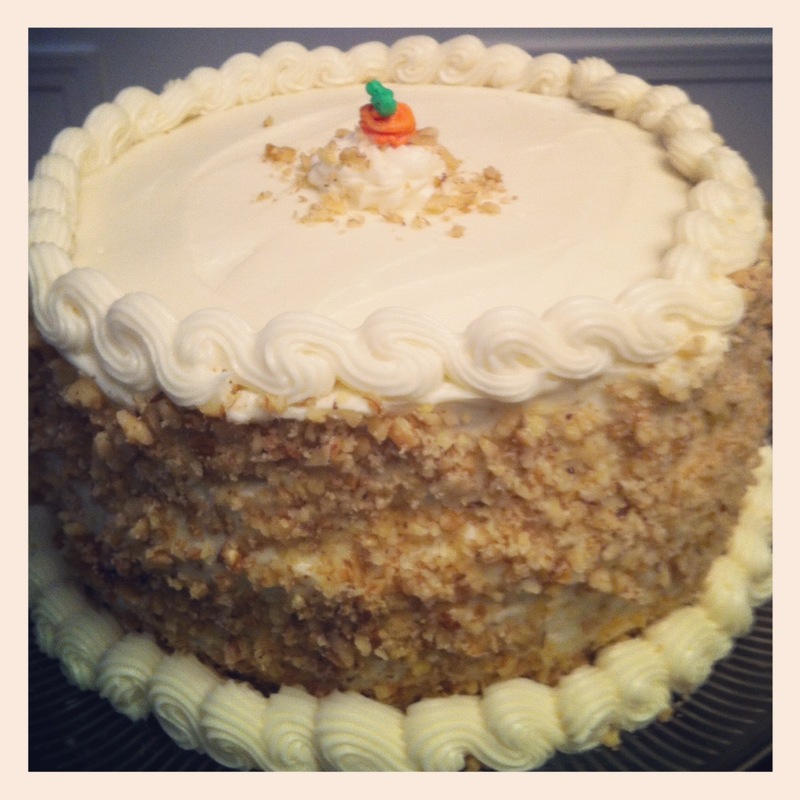 Carrot cake with a cheesecake layer in the center. Not the best picture ever…however it is the only picture. It got good reviews from my favorite critics. The first half got eaten, the second made a huge mess on the way home. 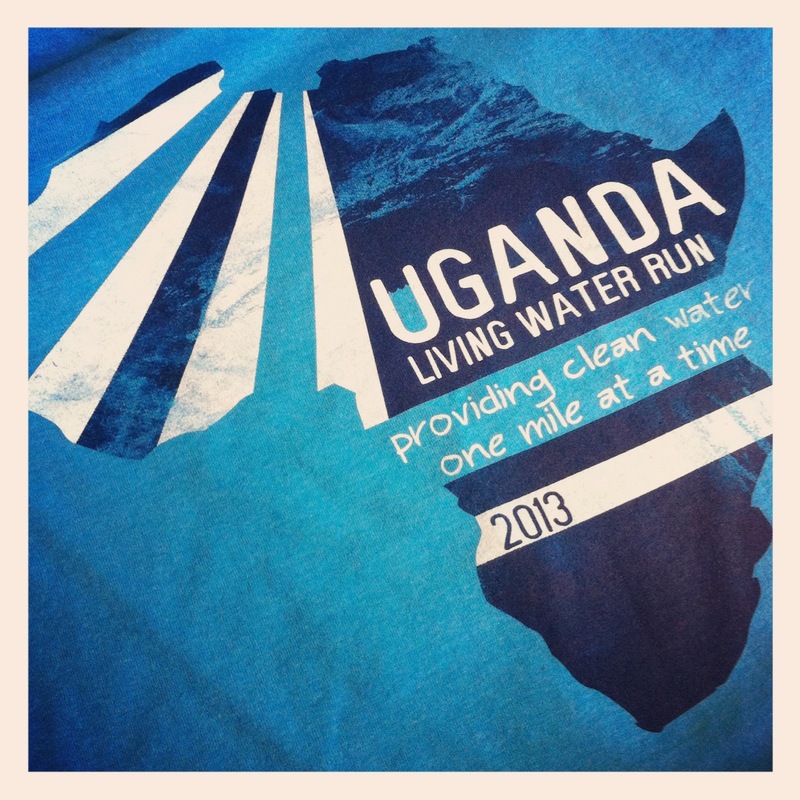 Last weekend was the 3rd Annual Uganda Living Water Run. This is one of my largest events of the year. This year (thanks to an amazing anonymous donor and our wonderful community) we raised over $4,000. We have funded one well for Uganda and are on our way to our second. 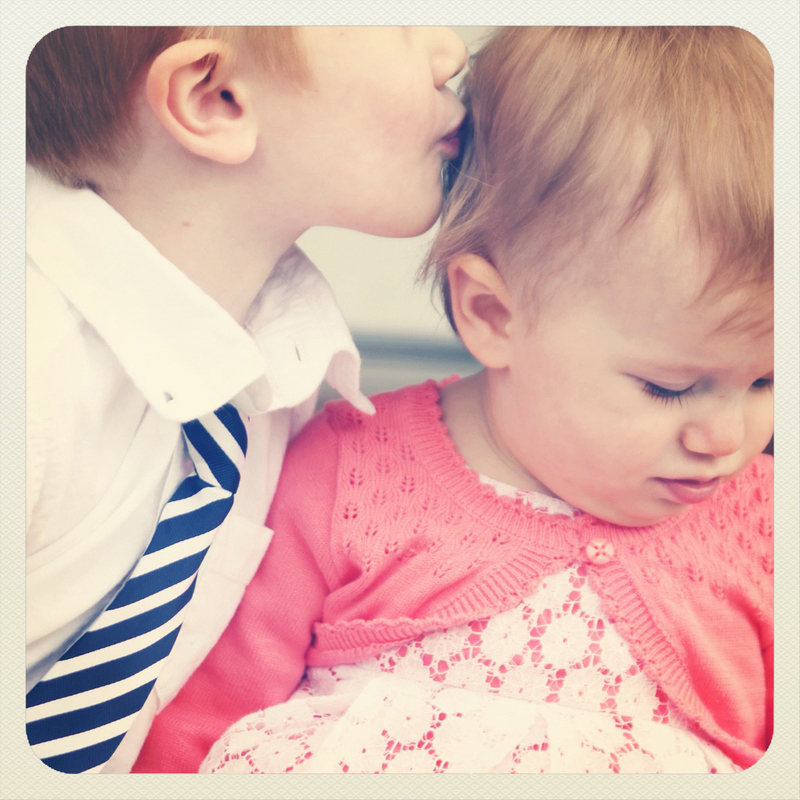 This entry was posted in A Little of This..., The Fam, Travels and tagged Ean, Easter, Nora, Uganda, Uganda Living Water. Bookmark the permalink.